Sony has pushed back the release of Carrie. It is the second updating of a classic (don't call it a remake!) the studio has delayed recently, following José Padilha's RoboCop moving from an August to February 2014 launch. Carrie is now scheduled to open on October 18th, some seventh months later than its previous March 15th date. The Stephen King adaptation has been replaced by the gestating thriller The Call (formerly, The Hive) and is now facing off against Luc Besson's Malavita and Warner Bros.' Seventh Son adaptation - with Paranormal Activity 5 arriving a week later, also hoping to court moviegoers in the mood for a scare during the Halloween season. Kimberly Peirce (Boys Don't Cry, Stop-Loss) is directing a script penned by Roberto Aguirre-Sacasa, a writer and co-producer whose credits include Big Love and Glee; he's currently working on the Little Shop of Horrors remake with Joseph Gordon-Levitt. The project features Chloë Grace Moretz as the teenager who discovers she possesses telekinetic abilities - and eventually snaps, after enduring torment from her peers and overbearing religious mother (Julianne Moore). Peirce and Moretz are distancing themselves from the remake stigma, referring to Carrie as a modernization and calling attention to the relationship betwen Carrie and her mother, rather than similarities to Brian De Palma's 1976 film or the 2002 made-for-TV adaptation written by Bryan Fuller. Moretz in particular has referred to the film as a psycho-drama, which explores the inner-workings of its troubled protagonist in the aftermath of her infamous killing spree (think We Need to Talk About Kevin meets Black Swan and you've got the gist). 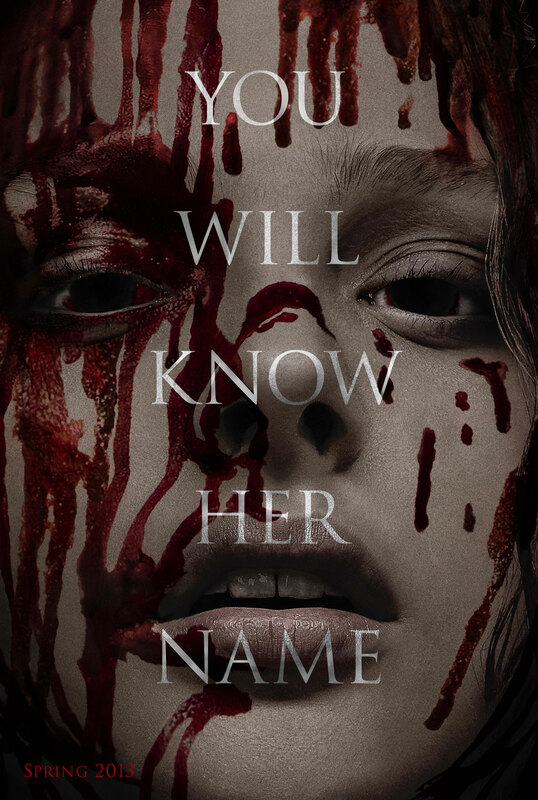 Carrie, in other words, taps into the contemporary zeitgeist of school bullying and massacres in an attempt to recreate the shock-factor of King's source material and De Palma's adaptation. That's a wise move, considering the story's prom slaughter sequence is so engrained in the public's conscious (as some of our readers pointed out, following the teaser trailer). Similarly, the supernatural horror genre angle allows it to overcome criticisms about exploitation; that's something Ryan Murphy and Brad Falchuk picked up on, while putting together the Murder House storyline for season one of American Horror Story. Let us know your thoughts about Carrie in the comments section below.